The idea of quitting my job and traveling the world with my partner, Trey, was often only a daydream that would come to me during the sixth conference call of a hectic workday. But like many people, 2016 turned out to be a year of serious contemplation for us both. Politics aside, we had already spent much of that year in reflection since Starwood, where Trey led brand communications, had been acquired. As we carefully considered options for our future, we kept returning to that dream, making list after list of destinations, itineraries and budgets — including an assessment of loyalty points and miles on hand. While I had backpacked and volunteered on organic farms around the world in my 20s, traveling long-term was a new concept for Trey. After many late nights reviewing spreadsheets and discussing what life on the road might look like, the real decision came as Trey was literally on the road — only stuck sitting in traffic on Sixth Avenue in New York City. He realized that no one was ever going to give either of us permission to step away and take the leap. That was the day our journey began. Even before deciding to take our trip around the world, Trey and I were accruing points and miles we could redeem for travel. Working for a company with one of the world’s most admired loyalty programs had given Trey a world-class education in the power of allegiance (and the rewards that come with it). And anyone who knows me knows that I just love a good travel deal. As we began thinking about our trip, we took advantage of some incredible credit card welcome bonus deals that were being offered at the time, including the Chase Sapphire Reserve, the Platinum Delta SkyMiles® Credit Card from American Express and the Citi / AAdvantage Platinum Select World Elite Mastercard. In the span of approximately a year, we managed to rack up — responsibly, of course — more than half a million points and miles between us. Other pluses for these cards included travel-friendly benefits, such as no foreign transaction fees — which can certainly add up over the course of a year — limited trip insurance (which should never replace comprehensive trip insurance) and car rental insurance. As we strapped on our backpacks and headed for our first flight, the Sapphire Reserve became our preferred card, given that it earns 3x Ultimate Rewards points for every dollar spent on travel and dining — basically, all of our expenses during a year abroad! 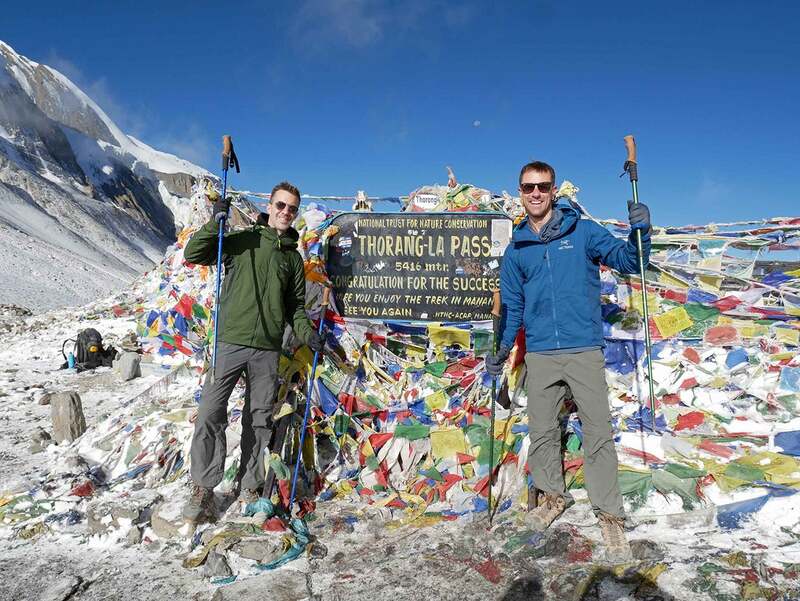 During our year of travel, miles brought us to the highest of highs, including Thorong La Pass in Nepal. Making the most of our points and miles required some thoughtful planning and organization as we built our dream itinerary. For instance, once we had a general sense of our travels, we booked all of our long-haul flights for the year in advance and, given the flexibility that comes with a year of travel, we were able to select off-peak flight days, such as New Year’s Eve — both of which typically mean better redemption value. By redeeming AAdvantage miles, for example, we were able to fly the atypical routing from Madrid (MAD) to Kathmandu (KTM) via Doha (DOH) with American’s Oneworld alliance partner Qatar Airways for what was at the time just 38,250 miles for a one-way business class ticket — a real treat before our time trekking in the Himalayas. We also traveled from Newark (EWR) to Auckland (AKL) via Beijing (PEK) for 80,000 miles in business class with United Airlines, a deal we were quite happy with considering award tickets for the 36 hours of flying were both limited and more expensive when we first began our search. 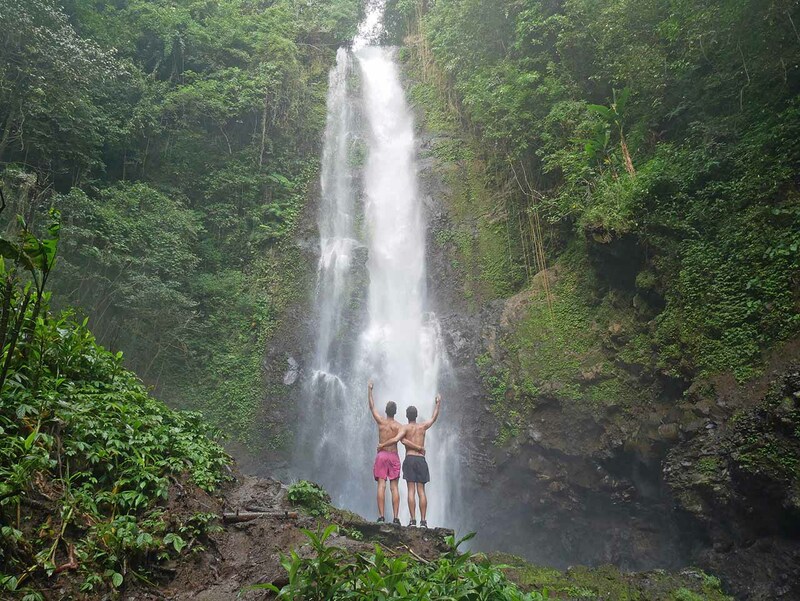 From New Zealand, we made our way over to Australia and up to Southeast Asia, where we spent nearly half our year exploring the beaches, jungles, temples and waterfalls of this exotic part of the world. While we booked our main long-haul flights with miles, we chose to use economical local carriers, such as Air Asia and Scoot, to move about the region. Since these low-cost regional flights don’t often have affiliations with our preferred airlines, we sometimes had to forgo the opportunity to earn miles. However, points buffs can breathe easy because we were able to purchase our flights using the CSR, earning us 3x points per dollar, which we were then able to transfer to United MileagePlus miles and refill our miles’ coffers. 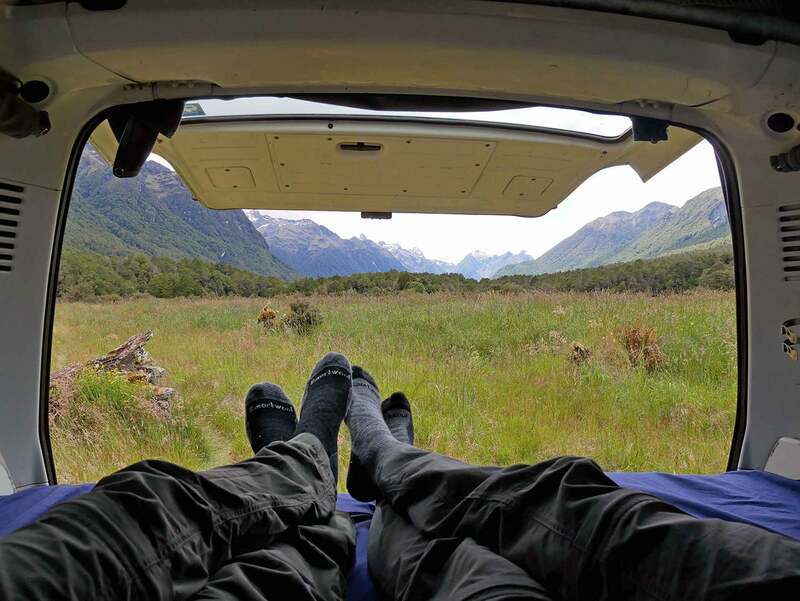 We ended our year-long trip as we began it: by flying on New Year’s Eve to New Zealand, where we decided to spend a bit of time resting and reflecting after our incredible year on the road. We were fortunate to find business class seats for 80,000 Delta SkyMiles each on China Eastern from Colombo, Sri Lanka (CMB) to Auckland, New Zealand (AKL) via Shanghai (PVG). A year of traveling together not only merged our lives, but also our points! 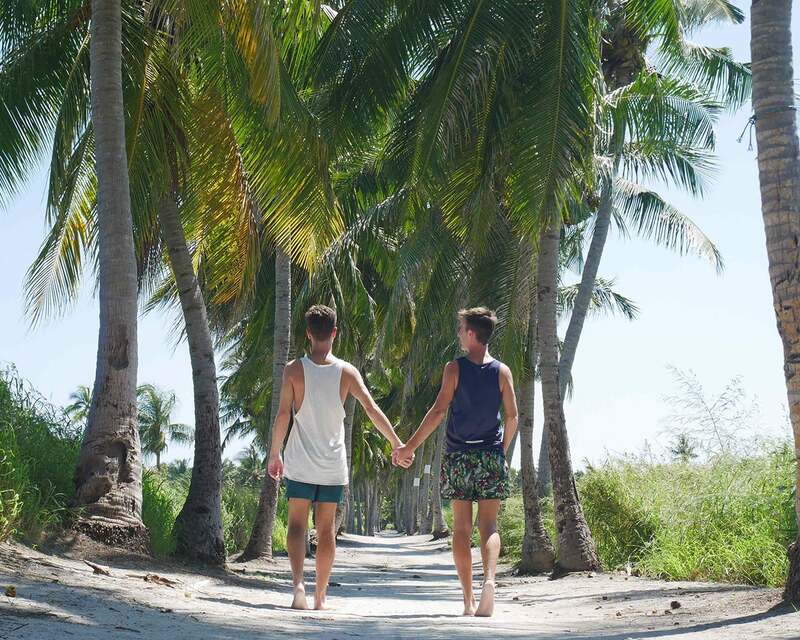 Traveling around the world with my partner taught us many important lessons and brought us so much closer together in our relationship. The old axiom “if you can travel well with someone, marry him,” rang especially true for us. At the end of our year of travel together, while in the Maldives for a much-needed beach week of post-India relaxation, Trey asked me to marry him, committing us to the ultimate journey: the merging of miles. Oh, and the rest of our lives. This card comes with several great perks for Delta flyers like a Domestic Main Cabin round-trip companion certificate each year, first checked bag free, priority boarding and discounted Delta Sky Club access for you and up to 2 guests. In addition, earn a $100 statement credit after you make a Delta purchase with your new Card within your first 3 months.